Urethanes are noted for extreme toughness, elongation, abrasion, resistance, acidic resistance and longevity. 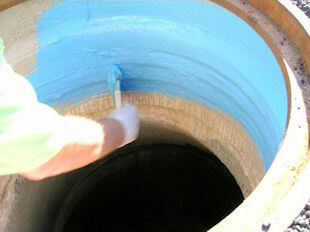 Sealing Systems, Inc. process allows a fast and simple method of sealing the adjustment ring area and joint sections will not allow infiltration and will not deteriorate from hydrogen sulfide or road salt. When properly installed, no special conditions or requirements are necessary for optimal performance.